JD from Year 5 made a digital story during the lesson observed by Mrs McNamee-Britten when she came to Gelli Primary to monitor our Physical Education in School Sports (PESS)). As usual she left leaving us with some very positive comments. 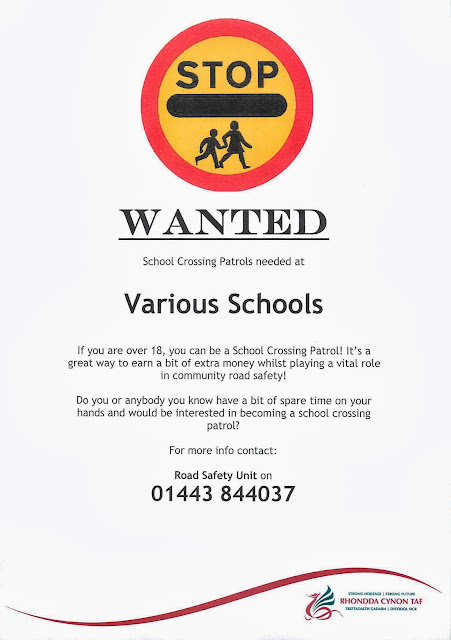 We need a new crossing patrol person to cross the children at the corner of Ty Isaf and Gelli Road. The Road Safety Unit has asked me to circulate this recruitment poster. If you know of anybody who's interested pass this information over to them. Next Friday I have arranged for “The Ned Show” to visit us The NED Show is the most popular assembly programme in the United Kingdom. They also perform in the US, Canada, Australia, New Zealand and even for special events at the White House. Nearly 2.5 million children will see The NED Show this year! Their goal in partnering with schools is to help improve pupil behaviour, enrich instructional time, increase academic achievement and enhance the overall school climate. Our agreement with the Ned Show organisers is that we receive the show free of charge, (it would normally cost £1000) and in return we have agreed to make some merchandise available that they will use in the show for purchase. May I say that we are not obligated to sell on the company’s behalf only to make it available and we should you feel that you do not want to support the school in this venture you are not obligated to do so. 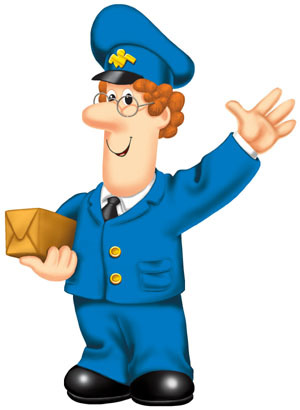 The company have produced a parent’s letter which will be sent to pupils and parents which we will send home later this week. You can also visit the Ned Show website and find out more about what they do. Mrs Sims would appreciate that any remaining contributions to the Leaver’s Ball be paid to school as soon as possible. May I remind parents that the Leaver’s Ball is primarily for our Year 6 pupils but it is also an end of Year Disco for the whole school and parents to attend. This year it will take place on Wednesday 3rd July at the Ton Pentre Football Club from 6.00 p.m. until 9.00. p.m. This disco is open to ALL PUPILS. Children from Nursery through to Year 4 MUST be accompanied by a responsible adult (18+). During the evening, the presentations will be made to the Year 6 pupils who will leave to join their Comprehensive schools in September. We have a special CELEBRITY MYSTERY GUEST this year who will present the trophies and certificates. Come along and help us give them a good “Gelli Primary” send off!! Entry is £1 per child. Hotdogs will be available on the night. May I remind you that our policy clearly states that we do not accept hair styles which are inappropriate. This includes stripes, tram lines, highlights, unsuitable colours and Mohican styles. It clearly states in our prospectus and other school documents that if a pupil presents himself in school with such a hair style the Governing Body will support the Head teacher in upholding standards by requesting that the hairstyle be altered so that it falls in line with our expectation. Our policy, which is in line with our cluster Primary and Comprehensive schools will be to suspend any pupil until his hair is returned to an appropriate fashion should you not agree with us. May I also remind you that our home school agreement which states that parents agree to uphold the school rules and do everything to resolve any issues with the school. May I remind you that if pupils intend to wear short during the hot weather our school uniform agreement states that only black, navy, blue or white shorts are encouraged. Bermuda style multi-coloured shorts that are more suitable for the beach are not permitted as are short T shirts and other such clothing. As usual, your co-operation will be appreciated. Can I remind parents that the school and Local Authority policy states that meals are to be paid for on a Monday morning, in advance. This policy is clearly set out in our school literature and regularly mentioned in school newsletters. Money brought in to school should be put in a sealed envelope (which are freely available from the school office) with the child’s name, class, purpose and amount clearly marked on the front. These envelopes are then collected by staff and transferred to our school secretary for processing. Money is registered on the school electronic recording system for accounting purposes. I have instructed Breakfast Club staff not to receive any money from pupils or parents when they are being dropped off. When this policy and procedure is followed it works well but there have been recent instances where parents claim that money has been paid but our accounting procedures cannot verify this. As usual, your co-operation will be appreciated. We are receiving a great number of enquiries about lost or mislaid clothing. There are a large amount of jumpers, cardigans, T shirts and coats in the cloak rooms. On examination the most of these are unmarked and have no individual identifying marks on them. In addition there have been instances where coats with logos such as Superdry have gone missing. May I ask you to examine any coat that has been brought home recently to check that it does belong to you and if it has been taken by mistake you can return them and be relocated with the ones that we have in school. As you may be aware, our Key Stage 2 production this year will be Annie. The production is copyright to Joseph Weinberger Ltd and we have needed to pay a substantial licence fee of around £500 to perform the show. The show is in fact a Junior version of Annie as a local theatre company are performing it a week later at the same venue. Tickets will be on sale from Monday 1st July and will cost £6.00 per adult and £3.00 for OAP and Children under 12 years of age. This is slightly more than we usually charge as we also have to give a percentage of the ticket receipts to the licence company. This year’s production costs have also risen and we will be unable to recoup some of those as we are not permitted to film the performances and sell the DVD on to you. This is frustrating as I know many of you enjoy purchasing performances and keep them for posterity. There is no limitation to the number of tickets that families can purchase and it would be encouraging for us to have a full house on both nights not only to help with the cost of staging such a production but to add to the atmosphere for the pupils to perform. I promise you that you will be in for a real treat again this year. Tickets will be allocated on a first come first served basis. I hope that we can rely upon you to support us in the usual manner. 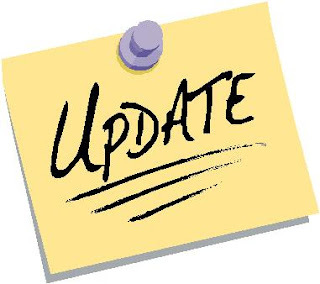 A newsletter was distributed by pupil post today yiu can see and electronic version of it by visiting our Moodle site by following the link from here. Here is a copy of the text. The Friends of Gelli Primary School Fete will be held in the school grounds on Saturday 29th June 2013. Details of the arrangements for the school summer fete are enclosed on the back of this letter. I hope that as many of you as possible can attend and support the school. We will be accepting donations from Monday 24th June onwards. Please bring them to the school hall where they can be stored until the weekend. Details are enclosed overleaf. This year Key Stage Two pupils will present a performance of “Annie” at the Phoenix Theatre in Ton Pentre on Wednesday 10th and Thursday 11th July. Each performance will begin at 6 p.m. Details of how you can obtain tickets will be circulated by the end of the week. June 25th - Transition Day – Year 6 pupils to Treorchy Comprehensive and the remainder of our pupils visit next year’s classes and teachers. July 3rd Leaver’s Ball and Disco for all the school at the Ton Pentre Football Club. July 10th Annie at the Phoenix Theatre. July 11thAnnie at the Phoenix Theatre. July 18th Leaver’s Assembly Year 6 parents only are invited. Invitations will be sent to parents by pupils soon. July 19th End of school year – School closes for pupils after registration at 1.00 p.m.
July 22nd INSET day – school is closed for all pupils. The staff will be undertaking whole school training off site on this day. School Council provide shade in our decking area. The School Council met this week to discuss providing shade for pupils using our decking area during the hot weather. They asked me to look for some garden umbrellas. I managed to locate them last night in a garden centre just in time for today's scorching heat. The members are going to timetable it's use and Colin will help them store them overnight for safe keeping. As part of our preparations for the excursion to Legoland the staff undertake a site visit. Miss Hatch has kindly provided us with an indication of some of the atractions and information that will hopefully make your trip memorable. As you are aware our summer trip to Legoland is less than a fortnight away. The buses have been booked and our attendance at the park confirmed. Please read the following information which will hopefully help you to make the most of your day. 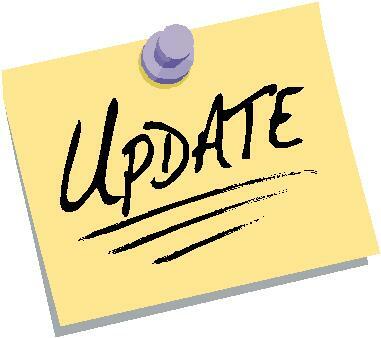 We have booked 4 Ferris busses which will leave school at 7:00am. Futher details with your bus allocation will be sent out next week. The buses will also leave Legoland at 5pm. Duplo Valley is now open so be prepared to get wet. You are encouraged to take bathers and a towel if you visit this area. Duplo Valley is full of animals and Lego sculptures which spout water. Look out for the big red Lego brick which once filled with water, tilts and drops its confers on the people below. Also a change of clothes is recommended if you are willing and wanting to go on the water rides as you will get wet. Alternatively you can wear a poncho or purchase one in a shop for £3.50. Photographs, magnets and keyrings can be purchased at a cost of £8 each. There is also a deal where you can purchase four from a variety of rides for £20. A soft drink will cost approximately £3 though you can buy a refillable cup for £7.50. This can be refilled as many times as you like throughout the day at most kiosks and restaurants. There are several places around the park to purchase food. At the kiosks there is ice cream (£3), donuts, waffles and hotdogs (£4-£6.50). There are also places to purchase baguettes, fried chicken and burgers or you can have a meal in one of the family restaurants (£5-£10). If you're not so keen on rides take a look around MiniLand and walk amongst world famous landmarks. There are also several playgrounds and a maze to entertain the children. A puppet show can be found near Duplo Valley and a Pirates stunt show can be found in Lego City. Times for each show are displayed near the events. All rides have two height restrictions. The first height is to ride alone, the second is to ride with an adult. If a child does not meet the minimum height they will not be able to ride. If you're unsure of your child's height there is a measuring service available at LEGO City Guest Services so children only have to be measured once and a band will be given for them to wear indicating their height. Parents and guardians with children who don't meet height restrictions can take turns in taking taller children on rides without having to queue twice. Please ask a member of staff at each ride for further details. Finally, please wear sensible shoes or trainers as you will walk a fair amount during the day. We look forward to seeing you all bright and early on Friday 14th June.